Venezuela is to formally investigate suspicions late President Hugo Chavez’s was afflicted with cancer after being poisoned by foreign enemies, the government said. Acting President Nicolas Maduro vowed to set up an inquiry into the allegation, which was first leveled by Chavez after being diagnosed with cancer in 2011. Foreign scientists will also be invited to join a government commission to investigate the claim. Maduro said it was too early to determine the exact root of the cancer which was discovered in Chavez’s pelvic region in June 2011, but charged that the United States had laboratories which were experienced in manufacturing diseases. 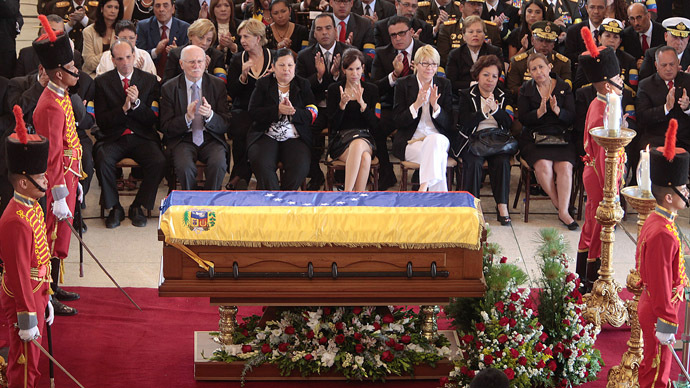 "He had a cancer that broke all norms," the agency cites Maduro as saying. "Everything seems to indicate that they affected his health using the most advanced techniques ... He had that intuition from the beginning." Chavez reportedly underwent four surgeries in Cuba, before dying of respiratory failure after the cancer metastasized in in his lungs. 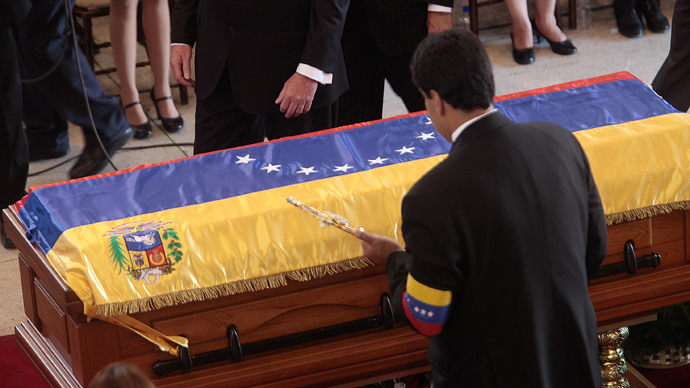 Maduro compared the conspiracy surrounding Chavez’s death to allegations that Israeli agents poisoned Palestinian leader Yasser Arafat to death in 2004. In December 2011, Chavez speculated that the United States could be infecting the regions leaders with cancer after Argentine President Cristina Fernandez de Kirchner was diagnosed with thyroid cancer. “Would it be strange if [the United States] had developed a technology to induce cancer, and for no one to know it?" 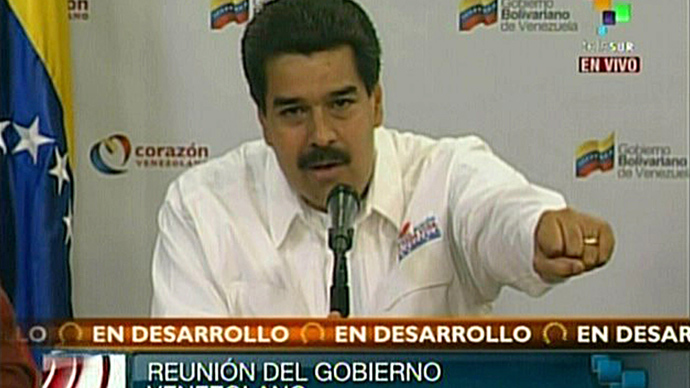 Maduro repeated the accusation last week on the eve of Chavez’s death. "Behind all of [the plots] are the enemies of the fatherland," he said on state television before announcing the expulsion of two US Air Force officials for spying on the military and plotting to destabilize the country. Venezuela’s opposition has lambasted the claim as another Chavez-style conspiracy theory intended to distract people from real issues gripping the country in the run up to the snap presidential election called for April 14. 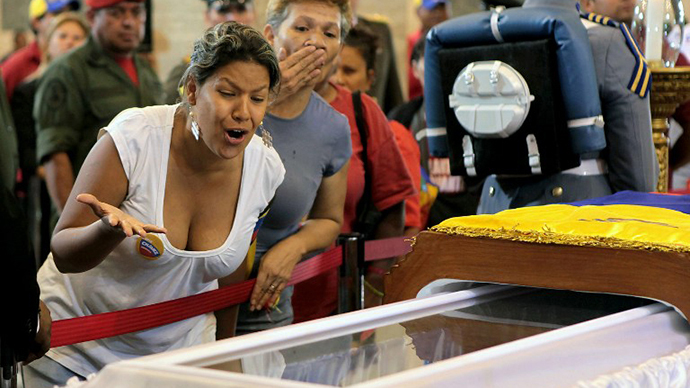 As Tuesday marked the last day of official mourning for Chavez, ceremonies are likely to continue, fueling claims by the opposition that the government is exploiting Chavez’s death to hold onto power. While launching his candidacy on Monday, Maduro began his speech with a recording of Chavez singing the national anthem, sending many of his supporters into tears. The pro-business state governor Henrique Capriles, who is running for the opposition’s Democratic Unity coalition, was quick to remind both his supporters and detractors that the charismatic socialist reformer Chavez was not his opponent. “[Maduro] is not Chávez and you all know it,” The Christian Science Monitor quotes him as saying while announcing his candidacy on Sunday. “President Chávez is no longer here.” Maduro, a former bus driver and Chavez's handpicked successor, has attempted to deflect criticism that he lacks the former president’s rhetorical flair by painting himself as a working class hero. “I’m a man of the street. 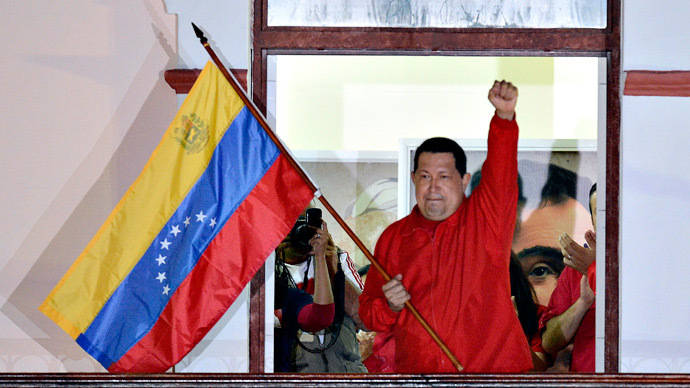 … I’m not Chávez,” he said Sunday. “I’m interim president, commander of the armed forces and presidential candidate because this is what Chávez decided and I’m following his orders.” Polls taken before Chavez's death gave Maduro a 10 point lead over Capriles, who lost to Chavez in last October’s presidential poll.